Yeh Rishta Kya Kehlata Hai 7th October 2016 Friday Episode: Naman saw Akshara and hides taking Naitik with him. She saw Naman. The man took Naitik from there. She met him. Naitik wished that Akshara should have seen him once. Kartik thought that everything was tolerable but not blames. He then got something. Naira thought to try to talk to Naitik. Naitik was taken from the place Naira was coming. Naitik saw Naira. He thought that his entire family was there but still he was not able to do anything. He thought to go to Akshara while Naman was busy. Akshara asked Naman to stop lying and asked him to say the truth as why he came there and where was Naitik. Naman got tensed and worried by being caught by her and said that he was not lying. She cried and asked him to get Naitik back home as the whole family was waiting for him to come. Naitik ran away. The men got worried and said that they would have to catch him and thought to get the remote from Naman. Akshara asked him as he came there. He said he came for a deal. She asked him to tell her everything and what deal it was. He got a call. She asked him to answer her first. He left saying that they would come back home soon. She felt that he was lying to her. Naitik hides from the men. Naitik saw Kartik but could not call him out. He ran after him but Naman gave him shock using the remote. He got Naitik and asked him not to irritate him. he said to him that Akshara would find him. Gayu hugged Akshara and said that everyone was praising her stalls. Akshara asked her as where was Naira and Kartik. Gayu said that she did not know. They both came there and asked Gayu as how her exhibition was going. She replied that it was good. Naira thought that Kartik might forgive her after some days. Naman said that Naitik would not wake up as he got a strong dose of electric shock. 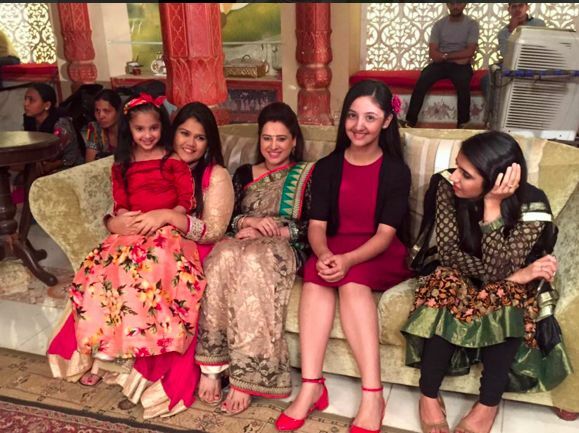 Akshara and Gayu with Naira and Kartik went for sightseeing. Akshara asked them to go as she could not go in ice as she forgot her pump. She got unwell and asked them to go as she would go in the cottage there and would drink tea. They all went. She heard a cow bell sound from cottage and thought to go to the cottage. Gayu went alone in the sky cab as Kartik did not hear her. She got sad and thought why it happened with her always. Kartik and Naira went together. Naira asked him to throw his anger so that they could enjoy. She thought to do something as only then they would be able to enjoy such a beautiful weather.